What is your undertaking-wide common understanding of data quality? When a serious “data” problem arises in your organisation, how is it discussed? (By “serious”, I mean a data problem that has, or could cost so much money that it has come to the attention of the board). What Data Quality KPIs does your board request, or receive to enable the board members understand the problem with the quality of the data? What data quality controls does your board expect to be in place to ensure that critical data is complete, appropriate and accurate? If your board has delegated authority to a data governance committee, what is the data governance committee’s understanding of “Data Quality”? Is it shared across your organisation? 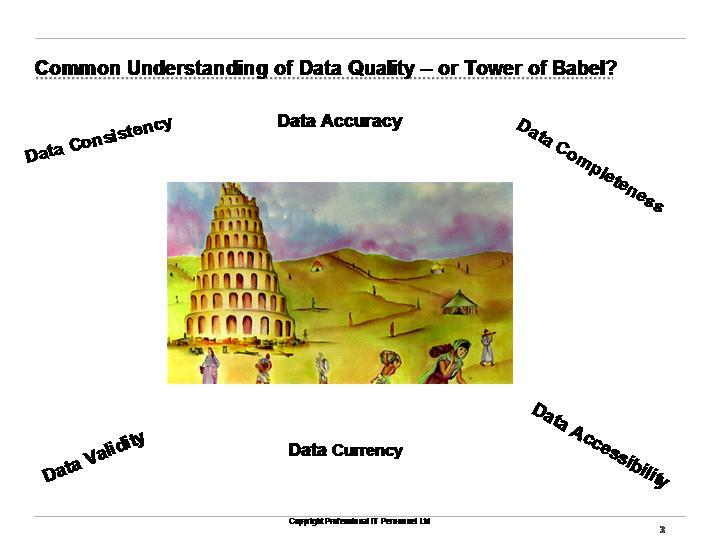 Do you all speak the same language, and use the same terminology when discussing “Data Quality”? In brief – are you all singing from the same “Data Quality Hymn Sheet”? Solvency II – What is your undertaking wide common understanding of Data Quality? For the first time, a regulator has stated that organisations must have an “undertaking-wide common understanding of data quality”. Solvency II requires insurance organisations to demonstrate the data underpinning their solvency calculations are as complete, appropriate and accurate as possible. The guidance from the regulator goes further than that. Business Requirements should be clear, measurable and testable. Unfortunately, the SII regulator uses complex language, that make SII Data Quality Management and Governance requirements wooly, ambiguous and open to interpretation. My interpretation of the guidance is that the regulator will expect you to demonstrate your “undertaking-wide common understanding of data quality”. What might a common understanding of data quality look like? Within the Data Quality industry, commonly used dimensions of data quality include. Is the data populated ? Is the data within the permitted range of values ? Does the data represent reality or a verifiable source ? Is the same data consistent across different files/tables ? Is the data available when needed ? Is the data easily accessible, understandable and usable ? Little did I know at the time I wrote the above blog post that a regulator would soon require organisations to demonstrate their understanding of data quality, and demonstrate that it is shared “undertaking wide”. How might you demonstrate that your understanding of data quality is “undertaking-wide” and “common”? In the UK, the Pensions Regulator (tPR) has issued record keeping requirements which requires pensions companies to measure and manage the quality of their schemes data. I believe the Solvency II “independent third party” will at least expect to see a common understanding of data quality shared between Solvency II and tPR programmes. Data Governance – Did you drop something? Welcome to part 5 of Solvency II Standards for Data Quality – common sense standards for all businesses. Solvency II Data Quality – Is your data complete? I suspect C-level management worldwide believe their organisation has controls in place to ensure the data on which they base their critical decisions is “complete”. It’s “applied common sense”. Therefore, C-level management would be quite happy with the Solvency II data quality requirement that states: “No relevant data available is excluded from consideration without justification (completeness)” (Ref: CP 56 paragraph 5.181). So… what could go wrong? In this post, I discuss one process at high risk of inadvertently excluding relevant data – the “Data Extraction” process. “Data Extraction” is part of the most common business process in the world, the “Extract, Transform, Load process”, or ETL for short. Data required by one business area (e.g. Regulatory reporting) is present in different (source) systems. The source systems are often operational systems. Data is commonly “extracted” from “operational systems” and fed into “informational systems” (which I refer to as “End of Food Chain Systems”). If the data extraction can be demonstrated to be a complete copy – there is no risk of inadvertently omitting relevant data. In my experience, few data extractions are complete copies. In most instances, data extractions are “selective”. In the insurance industry for example, the selection may be done based on product type, or perhaps policy status. This is perfectly acceptable – so long as any “excluded data” is justified. So… what can be done to manage this risk. To implement the principle, all data extractions (regardless of industry) should include the following control. Generate an alert when a value is found in the “selection field” that is NOT in either list (e.g. new product type). 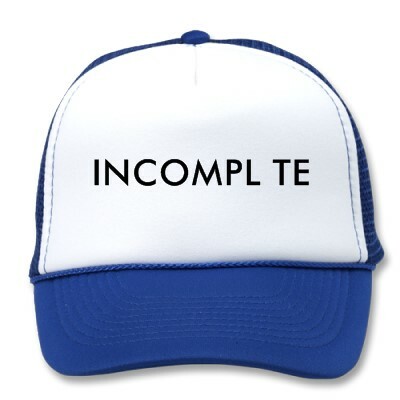 So – ask yourself – Can you demonstrate that your “data extractions” don’t overlook anything – can you demonstrate that “No relevant data available is excluded from consideration without justification (completeness)”? Feedback welcome – as always. February 2011 – UK Financial Services Authority publishes findings of their Solvency II Internal Model Approval Process (IMAP) thematic review. 3.2 Data management appeared to be one area where firms still have comparatively more to do to achieve the likely Solvency II requirements. 3.15 Data quality: Few firms provided sufficient evidence to show that data used in their internal model was accurate, complete and appropriate. 6.10 We witnessed little challenge or discussion on data quality at board level. We expect issues and reporting on data governance to find a regular place within board and committee discussions. Firms need to ensure that adequate and up-to-date quality management information is produced. It is important that the board has the necessary skills to ask probing questions. You must know your data. 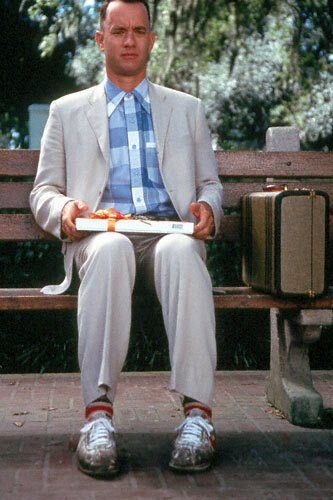 Do you know what’s in your data box of chocolates? You must know where it is, what it should contain and what it actually contains. When your data does not contain what it should, you must have a process for correcting it. CEOs, CFOs and CROs often take the above as “given”. They make business critical decisions using information derived from data within their organisation. After all, its applied common sense. For the insurance industry, Solvency II requires evidence that you are applying common sense. If you operate in the EU market or process the personal data of EU data subjects, you must comply with the EU General Data Protection Regulation (GDPR) or face severe fines. To comply, you must “know your (personal) data” and how you manage it. Do you know your data? There are many rights enshrined in law that benefit all of us. 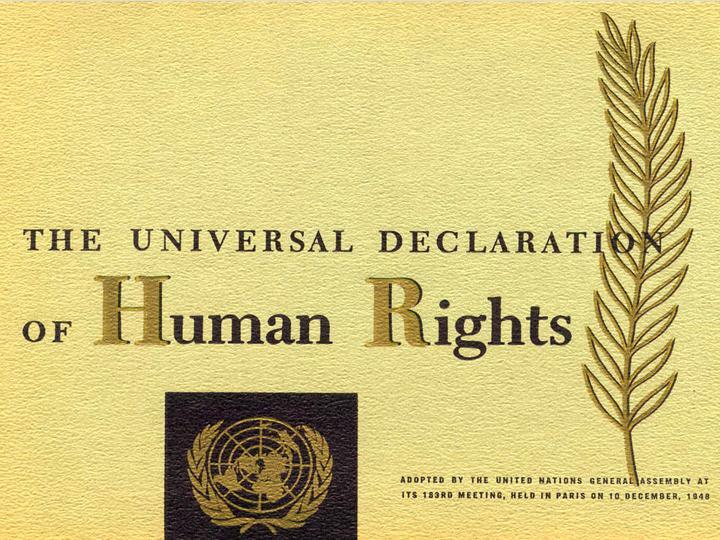 One example is the UN Charter of Human Rights. Another example is the “Consumer Rights” protection most countries enforce to guarantee us, the buying public, the right to expect goods and services that are of good quality and “fit for purpose”. As buyers of goods and services, we also have responsibilities. If you or I buy a “Rolex watch” for $10 from a casual street vendor, we cannot claim consumer protection rights if the watch stops working within a week. “Let the buyer beware” or “Caveat Emptor” is the common sense responsibility that we, as consumers must observe. I have previously written about business users’ right to expect good data plumbing. Business users (of data) have responsibilities also. I believe its time to agree a charter of rights and responsibilities for them. Business users of data are “Data Consumers” – people who use data to perform their work, whatever work that may be. Data Consumers make decisions based on the data or information available to them. Examples can range from a doctor prescribing medication based on the information in a patient’s health records, to a multi-national chief executive deciding to buy a business based on the performance figures available, to an actuary developing an internal model to determine Solvency II Capital Requirements. What rights and responsibilities should data consumers have? The right to expect data that is “fit for purpose”, data that is complete, appropriate and accurate. The responsibility to define what “fit for purpose” data means to them. The right to expect guidance and assistance in defining what constitutes complete, appropriate and accurate data for them. The responsibility to explain the impact that “sub-standard” data would have on the work they do. The right to be informed of the actual quality of the data they use. The right to expect controls in place that verify the quality of the data they use meets the standard they require. How do you collect your data? Welcome to part 4 of Solvency II Standards for Data Quality – common sense standards for all businesses. Your “Data Supply Chain” is the means by which you “Collect, store, process and transmit data…”. You are expected to know your data supply chain, and to manage it effectively. 3.37 If material problems with the verification of the data quality criteria have been identified, the insurer should try to solve them within an appropriate timeframe… and should work towards the improvement of the data collection, storage or other relevant internal processes, so as to ensure the quality of the future data. Those data limitations should be appropriately documented, including a description of how such situations can be remedied and the assignment of responsibilities within the undertaking. Welcome to part 3 of Solvency II Standards for Data Quality – common sense standards for all businesses. • The role of internal/external auditors and the actuarial function. I will explore the above further in my next post. Meanwhile, what Data Quality Management processes do you have in place? Do you suffer from common Enterprise-Wide Data Governance Issues? What does complete appropriate and accurate mean? Common Enterprise wide Data Governance Issues - #12. No Enterprise wide Data Dictionary.